Deluxe Suites are the largest and tastefully designed rooms at Dewa Retreat. These rooms are approximately 450 sq feet in size. This Deluxe Suites offers a LCD TV with premium channels and air-conditioning. Stay connected with high-speed internet access at the large work desk and refresh in the elegant bathroom with a range of luxury amenities. Our Deluxe Suites exhibit class, style and sophistication. 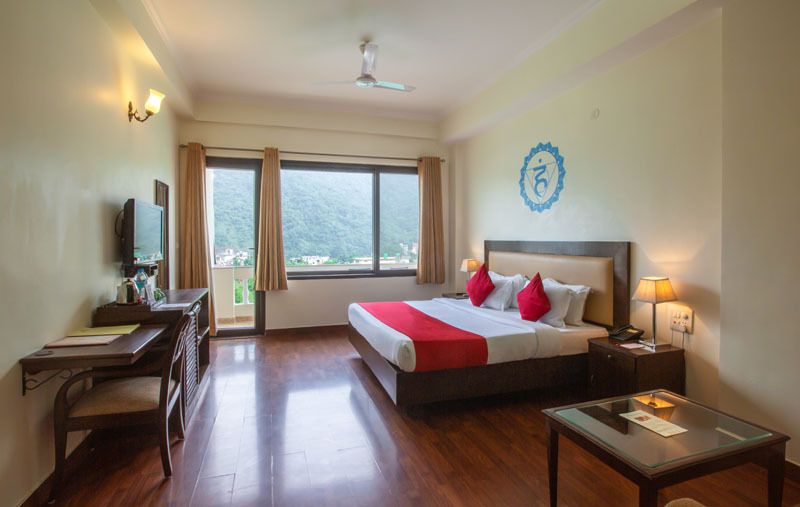 These rooms are laden with all the essential and contemporary facilities to leave an impression on you. 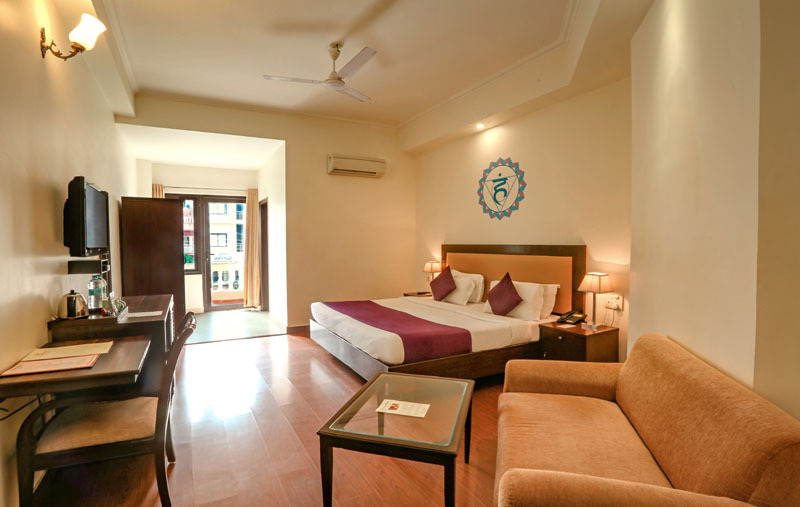 The suite is well lit with pleasant fragrance giving an entirely romantic and luxurious stay. Deluxe Suites extend to you an extra-ordinary experience. With bountiful amenities and special attention of staff to every detail, our rooms are well suited to meet the needs of both business and leisure travelers equally. Our rooms are best suited for individuals, couples or nuclear families on a quick getaway. Deluxe Suites features a lavish master bedroom, a living area. Great attention has been paid to even minutest details, ensuring your stay in The Deluxe Suite is a truly unique experience. 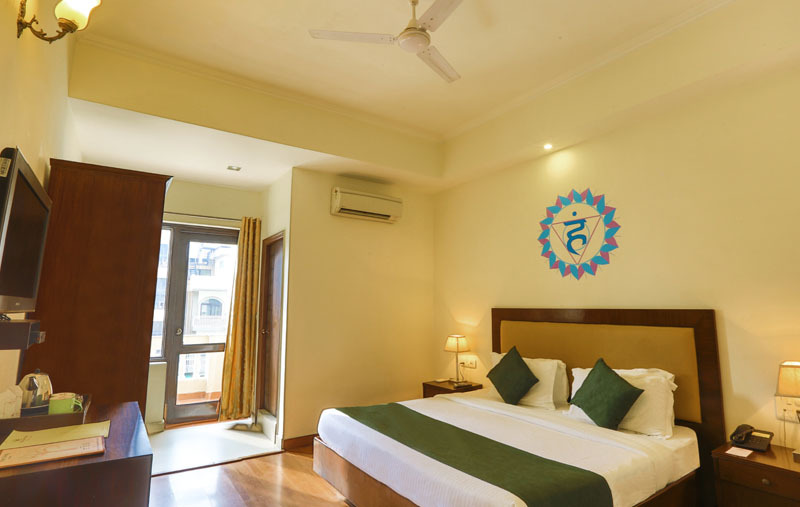 The Master Bedroom looks marvellous with premium carpet flooring, aesthetic artefacts, comfortable king size bed with fine linen and thoughtful modern amenities. The living area comes with a couch, a coffee table and a writing desk.